LONDON – Most birds are acutely sensitive to changes in temperature. Scientists now say that changes in climate and warmer temperatures in parts of Europe have resulted in the migration patterns of certain birds being radically altered. A study looking at the migration patterns of three species of duck – the goldeneye, goosander and tufted duck – has found there has been a sharp decrease in the number of birds migrating south. Birds like this female goosander are migrating much less than before due to rising temperature in parts of northern Europe. The study, published in Global Change Biology, examined the migration patterns of the three duck species over the 1980 to 2010 period. It found that mid-winter numbers of individual ducks at the southern edge of the species’ normal distribution range – in France, Ireland and Switzerland – had dropped by nearly 120,000. Meanwhile mid-winter numbers of the species in Finland and Sweden – in areas where the ducks breed in summer – had increased by a similar amount. Chas Holt of the British Trust for Ornithology, a co-author of the study, says ornithologists in Finland were the first to notice that numbers of ducks were no longer flying south in winter. “It’s essentially a fairly gradual shift in behavior, but it’s clear that a rise in temperatures in regions of Finland and Sweden means the ducks no longer fly south but stay closer to their summer breeding grounds all year round,” Holt told Climate News Network. Early winter temperatures in the ducks’ breeding grounds in Finland were found to have increased by 3.8°C over the 1980 to 2010 period. “There is a sharp correlation between these shifts in the range of migration and the rise in temperatures,” says Holt. Scientists say that if increasing numbers of birds do not migrate, there’s a risk that habitats will come under increasing pressure as food supplies dwindle. They also say that while many bird species have shown an ability to adapt to changes in temperature, many may not be able to alter their behavior fast enough if temperatures fluctuate rapidly. This entry was posted in Ducks, Health, News and tagged Bird, Bird migration, British Trust for Ornithology, Finland, London, Species, Sweden, Temperature on May 20, 2013 by naturalpfg. So finally the weather here in cold, rainy old England has started to clear up. The rain has stopped and spring is finally trying to make it’s mark, bringing new life to this beautifully green and verdant land. And so I thought it about time to show you our little flock of feathered friends and undoubtedly the driving force behind this little blog of ours. 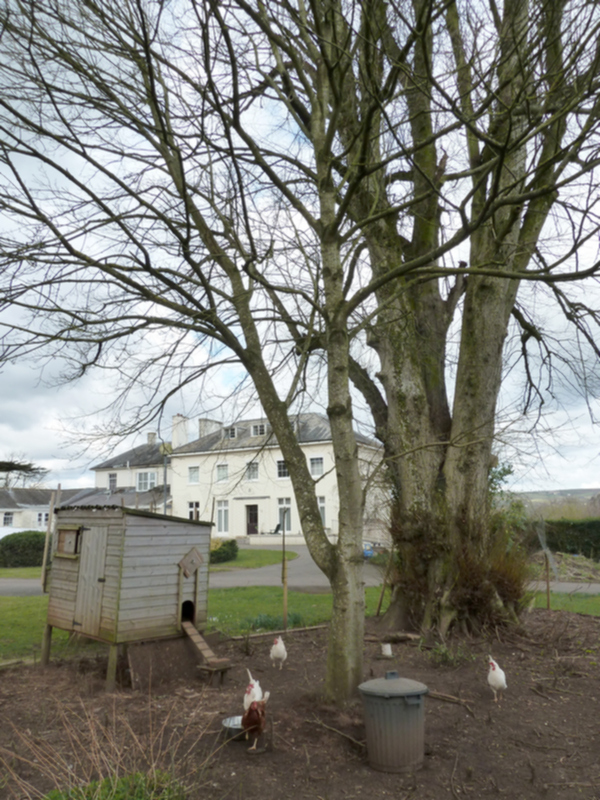 As you can see, our chickens have a lovely large pen to live in, giving them plenty of space to root and explore. The chicken house is a classic design, it’s simple but effective and large enough for all the chickens to have plenty of room to roost or lay. The house is raised off the floor for several important reasons. Firstly, it prevents damp and cold getting in through the floor. It also helps prevent pests and critters getting into the house. And lastly, the shade it provides gives the hens somewhere to have a dirt bath and get away from the hot day sun. We encourage egg-laying with 1 nest box for every four or five chickens. Nest boxes should be raised off the ground at least a few inches, but lower than the lowest roosting pole. They should also be dark and “out of the way” to cater to the hen’s instinct to lay her eggs in a safe place. The chicken house also needs to be airy enough to prevent respiratory diseases, to which chickens are especially prone, but not so drafty during winter that they freeze their tail feathers off. Chickens can withstand the cold so long as it’s not drafty. 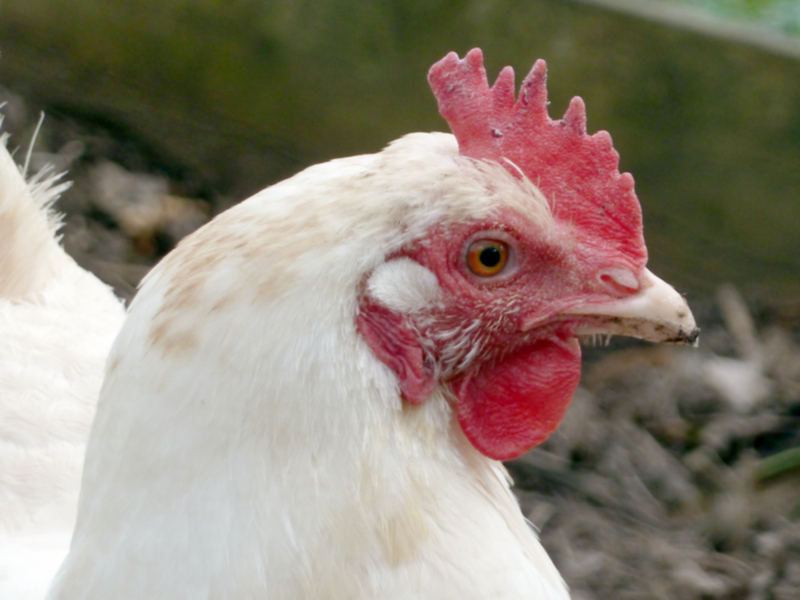 We took advice from several sites on the internet about cold weather preparation for our hens. We found that instead of heating the coop in the winter, the chickens adapt to the cold weather over time. Their body metabolism actually changes along with the seasons. When you heat your coop, the birds will never get used to the colder outside temperature — so if the heat were to accidentally cut out causing a sudden change in temperature, you could literally lose your entire flock overnight. Combs and wattles are wattles are susceptible to frost bite damage during freezing weather, so try smearing them with Vaseline to prevent this from happening. You can also try using pieces of old carpet or duvet as insulation to put on the roof of the hen house, But of course be sure not to block the ventilation holes. 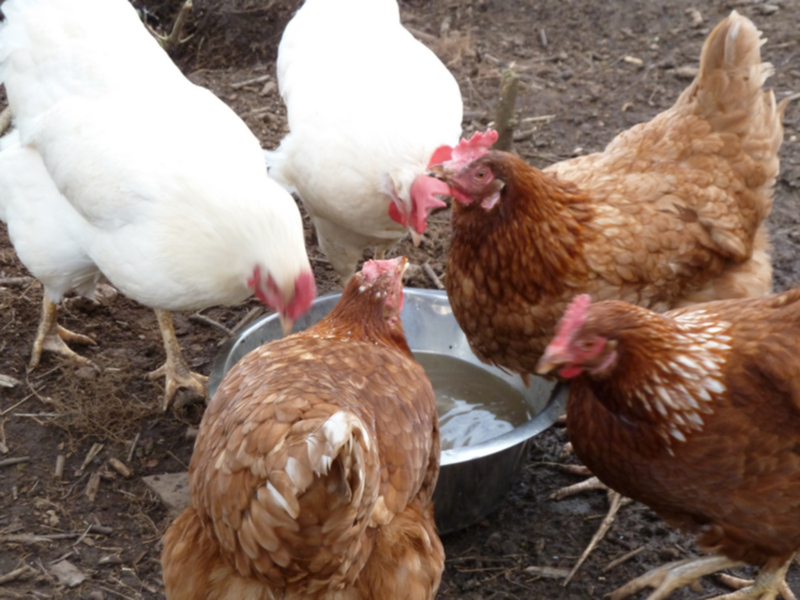 Dirt bath’s are the chickens way of washing and important in preventing parasites such as mites and lice from finding a home in your chickens’ feathers and legs. Having a tree in their pen is very important (if possible) as it also provides essential shelter, not only from the sun, but also from the wind and the rain too. Water is vital for your chickens. They can’t live for long without it! During the winter, you’ll need to make sure the water supply doesn’t freeze! If you don’t have electricity in your coop and therefore cannot provide a water heater, we recommend you bring the waterer into your house every night, and return it outside every morning. Check the water once or twice a day to make sure it’s not frozen. During the summer, excessive heat is a real risk to birds. Make sure they have access to fresh, clean water at all times. A source of shade is important too (like a tree) and ventilation in the coop of course! Now, this may sound obvious, but it’s easy to forget. Having let your chickens out of the coop in the morning, don’t forget to close and secure it at dusk (once they’ve all returned of course) to make sure predators can’t get to them. It’s easy to forget, but important to remember! This entry was posted in Chickens, Feeding, Free range, Health, Housing and tagged backyard chickens, Bird, chicken, Chicken Care Tips, Chicken coop, Chicken Health, chicken keeping, England, Nest box, Temperature, Vaseline, Water heating on March 14, 2013 by naturalpfg.